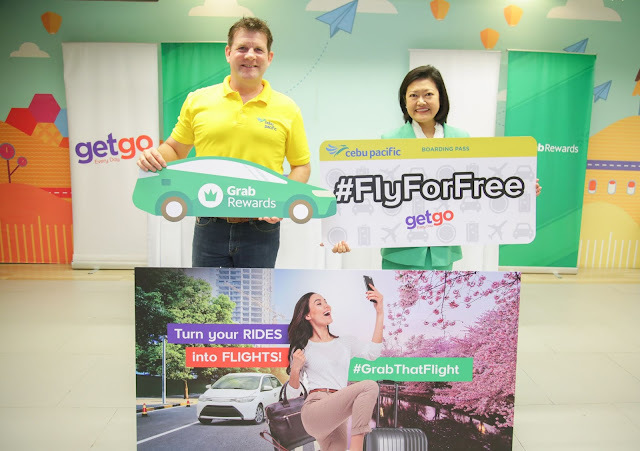 Starting August 3, Grab users can convert their Grab Rewards points to GetGo points and redeem flights. “Knowing that travelling is an important aspect of every Filipino’s lifestyle, we are excited to partner with GetGo to bring our consumers closer to their next dream holiday. As Grab becomes an everyday app, we are constantly making our platform more rewarding for our consumers by giving them access to more meaningful partner benefits that truly matter to them. With GrabRewards, we want our consumers to get more value for every ride they take with us and having a partner like GetGo on board will enable us to offer them even more,, ” said Theresa Busmente, Grab Philippines’ Head of Business Development and Strategic Partnerships. Turning everyone’s daily rides into exciting free flights, GetGo and Grab Philippines team up to support every Filipinos’ desire to travel and experience local and international wonders.